If you’re interested into becoming a sound guy, or are just interested in expanding your equipment arsenal, remember, almost every film needs a boom microphone kit. Combined with a good shotgun microphone, it is the definitive tool for capturing sound in film. The boom pole is more than just a stick with a screw on the end. A well crafted boom pole can cost quite a bit due to the materials necessary to make it both lightweight and sturdy. Boom poles are held for a long period of time in often very uncomfortable positions, so you’ll need more than just a piece of wood! We’ve reviewed and ranked all the best mic boom poles so that you can find the best boom pole that fits your budget and needs. After our list, we’ve put together a little section on how we determined which microphone boom pole is the best, and also found a guide on how you can make your own Boom Pole if you don’t want to spend money. Important: This Buyer’s Guide is for boom poles only, not shock mounts. The shock mount is the piece of equipment that holds the mic on the end of the pole. You will also need to purchase a shock mount, as mounting a mic directly onto the pole will produce very undesirable noises in your audio. 1 Why Do I Need A Boom Pole? Why Do I Need A Boom Pole? The most simple principal behind getting good production audio is a good signal to noise ratio. This is most easily created by having a mic placed as closely to the shot as possible without being in it. This is achieved with a boom pole. While not applicable in super wide shots, almost every shot in a film has a mic boom pole positioned immediately out of frame. While lavaliers work great too, a boom pole is usually the best way to get your microphone close to the subject and out of frame. While in most real-life content like YouTube videos, you can get away with having the microphone in the shot, fictional or dramatic content will require you to position your microphone out of frame. You don’t see Dwayne Johnson speaking into a big microphone while he’s fighting monsters! If you want consistency, value, and the ability to complete professional jobs, this one is your guy. It’s crafted from high grade lightweight aluminum and has a 5 section telescoping mechanism. It has a great internally coiled XLR cable, although it loses points for the XLR port being on the bottom rather than the side. Meaning you won’t be able to rest the pole on the ground during downtime. So why is this at the top of our list? Because it’s about as cheap as you could go for a professional quality boom pole. It comes with a 1 year warranty so it’s a safe bet, and best of all, it’s just over 9 feet long. As stated in our guide below, 9 feet is around the minimum desired length for more professional work. Sure, it’s not 15, but if you’re doing the type of work that needs at 15 foot boom, you probably have more to spend than $100. This may not be the best one for you. Below we’ve selected what we think is the best boom pole in several different price ranges, one of which is even carbon fiber! But if you’re looking for great all around value at a $100 budget, go with the LyxPro MPL-20. This boom stick is actually quite a bit more expensive than any of the other boom mic poles on our list. This is primarily because this is the only Carbon Fiber boom pole we have decided to feature. Rode is one of the industry standards in terms of location sound equipment, and for good reason. We discuss the magic of Carbon Fiber poles at the bottom of the page. In short, Carbon Fiber is lighter, just as strong, and more expensive. It extends up to 10 feet, excellent for professional industry work, and fully extended it only weighs 1.2lbs. That’s absurd. The best aluminum pole of similar length on our list is almost double at 2 lbs. A pound may not sound like a lot, but it really adds up when you’re holding the pole over your head all day long. The pole is hollowed out to provide room for an internal cable. Pretty much the only downside to this product besides the price is that it does not come packaged with an internal XLR cable. Although, you could buy a coiled XLR and quickly throw it inside for relatively cheap. Rode is a very high quality company that offers excellent customer service. If anything is wrong with your product they are quick to send you replacement parts at no charge even years after the fact. If you have the cash and you want the best of the best, buy the Carbon Fiber Rode Boompole Pro. We’ve already talked about how Rode is a quality industry brand that makes solid equipment. Their excellent Carbon Fiber model is also available in aluminum! Like we mention in our guide, Carbon Fiber is definitively better than aluminum in every way. But it’s not always necessary, and if you can’t afford to spring for it, this Boom Pole is about as good as it gets for professional work. Just like it’s big pro brother it features room inside for an internal XLR cable, excellent customer service, and remarkable build quality. It’s 10 feet long, which is necessary for professional grade shoots, but is a fraction of the price of the nearly $250 carbon fiber model. This makes it much more appealing to mid-range filmmakers who aren’t going into a career in on-set sound. If you want the best aluminum boom pole that money can buy, go with the Rode. This boom pole extends to only about 5.5 feet, which is fine for personal projects but won’t be enough for professional work. This mic boom pole has made it onto our list because it’s probably the strongest value to cost ratio on a cheap budget. It’s not the cheapest, or the best, or even the most well rounded, but at $40-60, you’ll be hard pressed to find a better boom pole. The build is aluminum but very sturdy. It’s short length means it is also very light. Remember that great 10 foot carbon fiber Rode pole that only weighed 1.2 pounds? This one may only be 5.5 feet, but it weighs less at just under a pound. This means that if you know you won’t need more than 5 feet of pole, this one could arguably be more comfortable. At this cheap price tag it does not seem to feature internal cabling, so if you think you’re going to need that, go with one of the above options instead. The Amazon reviews for this product are flawless, with many citing its ruggedness and build quality as strengths. FilmToolKit thinks that the Koolertron Black-20 is an excellent value for the price, and is the right choice for many newbie filmmakers. Alright, it looks a lot different from any of the other boom poles and I feel like that picture screams cheap. But the reviews don’t lie. The Pyle PMKSBo6 is a fully functional lightweight boom pole at a very competitive price. Coming in at under $40, it’s the cheapest pole on our list by far. It doesn’t feature internal XLR coiling, but comes with velcro straps to manage your cable. It extends to around 5.7 feet at maximum length, and colapses to just over 2 feet. This is shorter than what is necessary in a studio, but is excellent for low budget or run and gun applications. Customers are most impressed with it’s light and surprisingly rugged build quality, as well as it’s foam grips to reduce handling noise and increase comfort. Woah alright alright hold up it says right there that it’s a Monopod. This AmazonBasics 67 inch Monopod is essentially just an aluminum collapsing stick with a universal 1/4 inch thread mount on the tip. So how did it make it on this list? Well, many reviewers online have reported that in a pinch, this product makes a very usable boom mic pole. Okay, it doesn’t have an XLR port. That doesn’t have to stop you! Just gaff tape that XLR on there and you’ll be booming in no time. It has maintained a 4.5 star rating with over 650 customer reviews. A few customers have reported low durability and questionable sturdiness, but coming in at less than $15, is that really all that surprising? Despite this, many are satisfied with it’s construction and value. We have been very impressed with all of the AmazonBasics products we have tested so far, and can easily recommend this. If you don’t have very much to spend, are looking for a monopod as well, or just need something to hold your microphone over your scene, The AmazonBasics 67-inch Monopod is definitely better than nothing. At under $15, you’ve got almost nothing to lose. Did we mention it comes with a carrying bag!? Understanding why microphone boom poles are used will help you understand which one is best for you. The following factors are what you need to consider when picking the right boom pole. Seeing as a boom pole is a device that you hold over your head for 10-12 hours as a time, the weight and length of your stick actually matters a lot! Of course, the longest or lightest boom pole isn’t necessarily always the right choice for you. If your conditions dictate that you won’t need to boom from a long range, a shorter pole will be lighter and more nimble. Think about what kind of productions you are going to be working on before picking a pole. Run and gun boom operators likely wont make use of more than 9 feet. Narrative film work may require more length than documentaries. Decide how much length you need before making a decision, as an unnecessarily long boom pole is heavier and can be unwieldy. Around 12 feet is the longest you’ll ever need for conventional shooting. If your film requires something longer than that, you’re likely better off renting an extra long pole or just rethinking your shot. This one’s a no-brainer, it applies to pretty much everything we review! Build quality determines not only how well your boom stick will hold up over time, but how sturdy and strong it will be in the field. Many boom poles did not make this list because too many consumers complained about defects or flimsy construction. 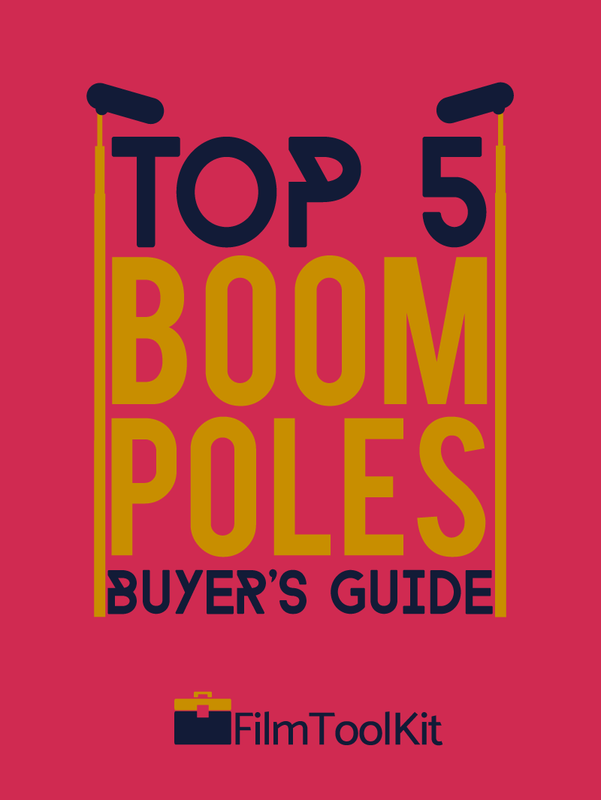 There are two primary construction materials you will encounter in the boom pole market. Carbon Fiber and Aluminum. Carbon Fiber is decidedly lighter and just as strong. Having a lightweight boom pole is very important, especially on shoots where the boom target is very far. So why would you go with an Aluminum pole? The benefits of Carbon fiber are not always necessary and may not warrant the price gap. The weight differences can be marginal and downright unnoticeable if you are booming things at a close range or for a short duration. The weight difference comes down to a couple ounces. You won’t notice these booming something right next to you for 2 minutes. However, recording sound 9 feet away for 30-40 minutes? You’ll be crying to shed every ounce possible off of that pole when your arms are screaming. Like what we said about weight and length, think about the type of work you’ll be doing and make the right choice. So our verdict is: Carbon fiber is better than Aluminum. It’s lighter and equal in strength. However, it is much more expensive, and unnecessary if you don’t do this for a living or if your boom targets are close in proximity. There’s not a whole lot you can do with a boom pole in terms of features. It’s a glorified stick. But there are a few key features that can make a mic boom pole a lot more desirable. Having internal coiling for an XLR cable is a key feature. All of our recommendations have this feature except for two. These two were only included because they are value picks that get the job done at a good price. If you are serious about a career in location sound, don’t buy a boom pole that doesn’t have internal coiling. You’ll have to use gaff tape to secure your cable or wrap it around your pole, which can cause issues and even hurt your sound quality with rattling if you’re not careful. Having an XLR port at the base is also a great feature. But you’ll probably have a much more pleasant experience with an XLR port on the side than on the bottom. This sounds nit picky, but somehow every time I use a boom that has a port at the bottom, it ends up getting filled with mud eventually. You won’t be able to rest your arms by putting your pole on the ground. Worse, you won’t be able to pretend you’re the grim reaper. Sure, it’s not the end of the world, but there is no good reason to put the port at the bottom when a side mounted XLR port is objectively better design. PRO TIP: A great boom pole can make a huge difference in the quality of your production’s sound. However, you know what would make an even bigger difference? Having a boom operator who actually knows what he’s doing. 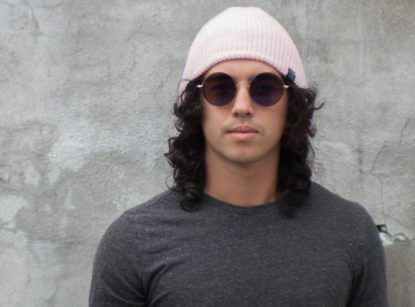 If you’ve got a couple hundred budgeted for the film’s boom, you’d be better off hiring someone with experience than putting a $1000 boom pole into the hands of a 19 year old film student. In the off chance that you don’t want to purchase any of our reviewed Boom Poles, we’ve found a video from NoFilmSchool that will teach you how to build your own DIY Boom Pole. This is useful if you’re trying to save money, don’t have the local stores or time to wait for a boom pole online, or if you’re just another DIY hobbyist! All boom pole listed here are low end poles. Rode is not industry standard by any means. For the best poles check out brands such as K tek,Ambient and Panamic poles.far more expensive,higher quality poles that the boom ops love. rode is great for micro budget. but not recommended for big budget features. You’re not wrong friend! They are definitely on the low end of the spectrum. When writing this article I figured the type of people reading would have a budget below $250. I’ve re-titled the article for accuracy and I’ll consider putting together another list of high end boom poles in the near future. All my remarks are based off of what I determined from my research combined with personal experience, and there are certainly many industry professionals using Rode products. K-tek was referred to as the industry standard by many, but when I went through the views I wasn’t impressed.